If you are interested in how to subscribe as an institution please contact your regional sales representative, or our sales office, by registering your interest below. 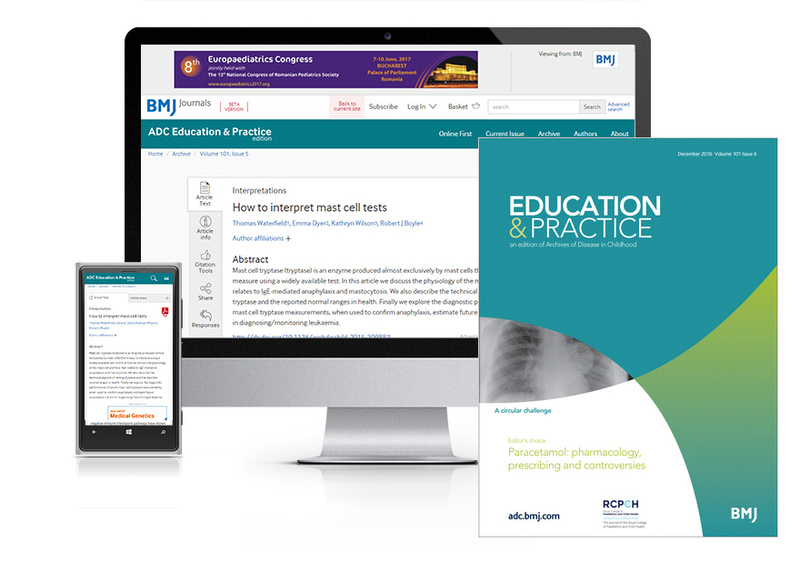 Subscribe today and your institution will enjoy full access to ADC Education & Practice edition – official journal of Royal College of Paediatrics and Child Health. Subscribe as an individual today to get full access to all new and previous content from ADC Education & Practice edition – official journal of Royal College of Paediatrics and Child Health. Within four weeks of placing your order you will be sent the current issue of the publication, the print journal will be delivered to the address that you provide when you register. Our subscriptions are annual and last for 365 days from date of purchase. This does not mean your subscription will automatically end after 365 days as you will receive a renewal notice prior to its end which will enable you to continue your subscription without interruption. 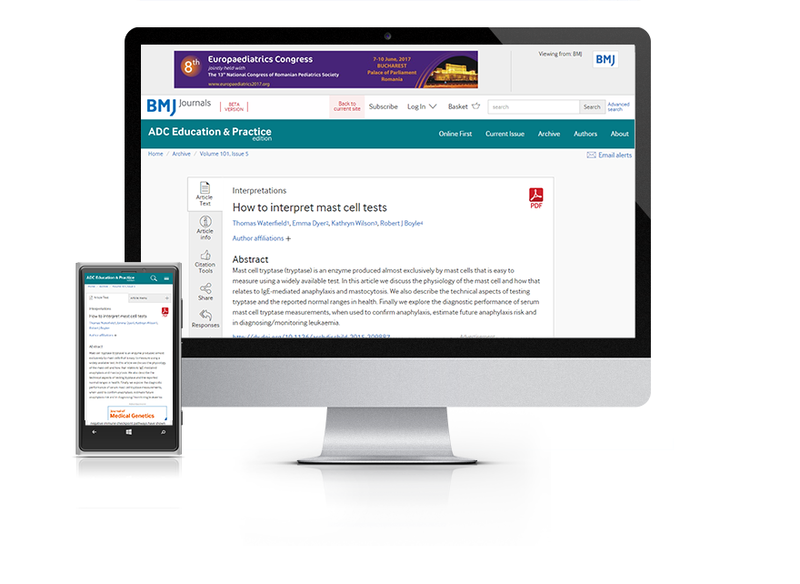 If you have any further queries about your subscription, please contact our customer services team on +44 (0) 207111 1105 or via email at support@bmj.com. You can find out more about the ADC Education & Practice edition here.